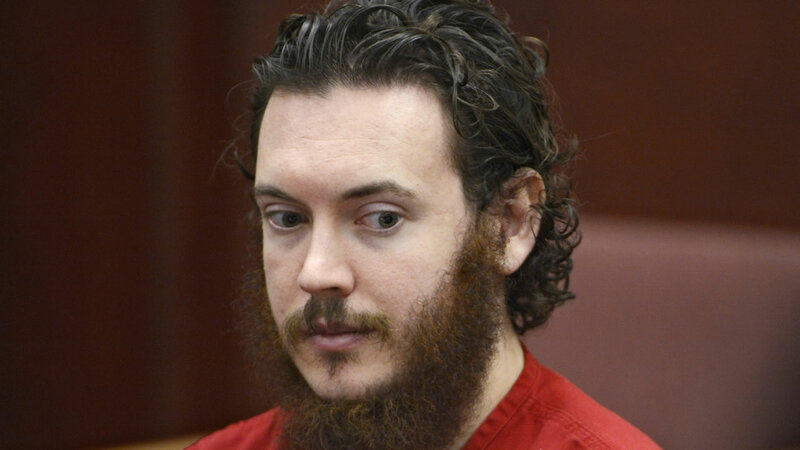 CENTENNIAL, Colo. -- Jurors in the Colorado theater shooting trial declined to rule out the death penalty Monday as they move toward sentencing James Holmes. Holmes, who is taking anti-psychotic drugs that dull his reactions, stood as ordered and appeared emotionless as the judge read the decisions. On all 24 murder counts carrying a potential death penalty - two for each of the 12 people slain - the jury found that aggravating factors outweighed mitigating factors. That eerie notebook - which Holmes mailed to the psychiatrist hours before opening fire in the theater - became key evidence. In it, Holmes diagnosed himself with a litany of mental problems and methodically laid out his plans to kill. He wrote that he tried to fix his own brain, and failed.